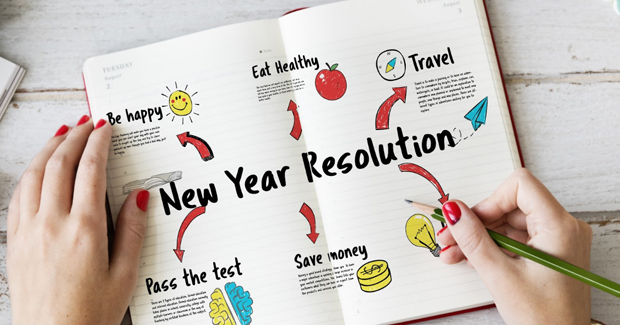 New Year’s resolutions are essentially great tool guides. They keep us on our feet, and most importantly, they keep us positive and level-headed during a challenging time that could send us in a panic. For some, making them is a tradition. Here it is, yet again—that time of the year when we are ready to press the reset button and recreate ourselves in the form of resolutions. Though most of us speak more about personal habits when it comes to making lists, here we take a look at our professional lives and see how we can make changes for the better. Let’s run through the ones that will ultimately help you attain a better work life. Plan ahead. Start creating a schedule for tasks on your to-do list. This does not only give you clarity but also a sense of accomplishment when you realize things are happening as planned. Start with something as simple as knowing what time you should be getting to and from work, which leaves us to resolution #2. Wake up early. If you’re expected to come in at 8:00 AM, make sure you get there by 7:30 AM. Believe it or not, not having to rush to work takes off a lot of stress. In fact, starting the day early gives you time to collect your thoughts (should you need them) and be more focused throughout the day. If it helps, get a cup of coffee. Arrive with a positive spirit. Most jobs involve working with people. No matter how skilled and talented you are at your job, succeeding will be a challenge if you can’t get along with your teammates. Listening more, saying thank you, and reaching out when they need help are not only common courtesy, but are beneficial to both social and professional aspects of your career life. Be more proactive. From learning a new skill to tidying your desk, taking more initiative will do wonders for a lot of things like your schedule, your email inbox, and your employability. It is a great mental boost when you know you are keeping yourself efficient and productive. Find balance. Balance means a lot of things to different people. Take a moment to see where yours fall. Whether it is refraining from reading emails after 7PM or having 15-minutes of quiet time during your afternoon break, be aware about where those limits lie in order to find that work-life balance. Reflect. Take it all it in. Breathe. Having the right kind of mindset goes a long way, but it’s hard to acquire such when you are too busy making cold calls. Find the time to ask yourself if what you do is aligned with your long-term goals. You’ll be happier when you know you are right where you are supposed to be. We want nothing but the best for ourselves when we start every year. And given enough willpower and motivation, even these simplest actions can lead to great success! Good luck!